An end cap to seal the flange top of 5cc size syringe barrels. Quick attachment and removal. The cap snaps into place with clips that hold the barrel top. Compatible with all 700 series 5cc size syringe barrels. Supplied in quantities of 50 or bulk packs of 1000. Silicone free components. Moulded from polyethylene. Available from stock. 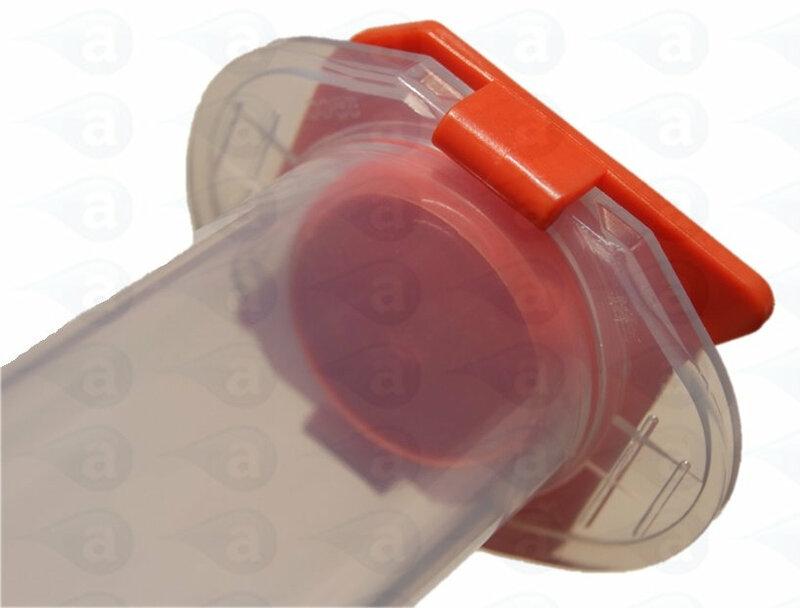 A wider range of syringe barrel end caps are available. All plastic components are silicone-free to prevent any contamination of sensitive adhesives placed near to them.